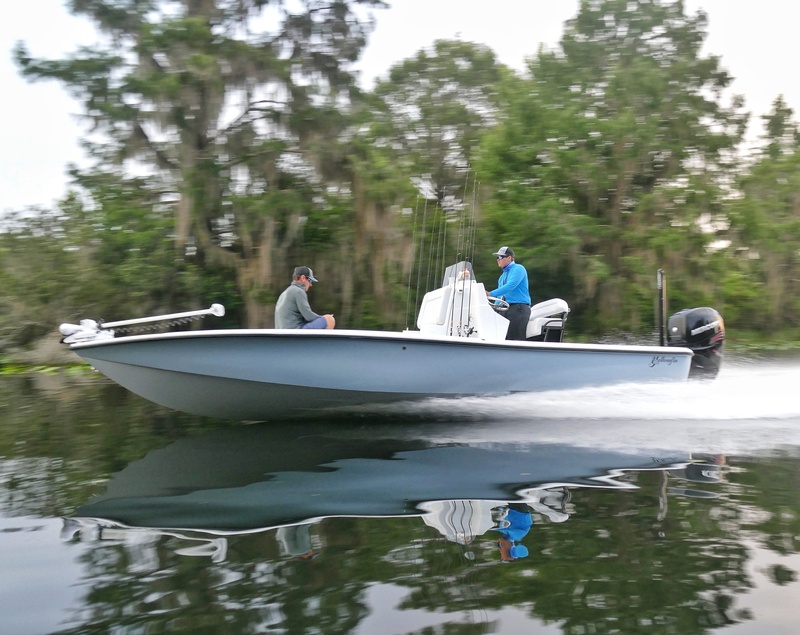 One of my favorite places to visit, on personal vacation or filming my show, Bass 2 Billfish with Peter Miller, is Citrus County, Florida. Whether it’s for scalloping, swimming with the manatees, or for the fishing, Citrus County never disappoints. This area is alive with activities throughout the entire year, but in the fall, there are are some events that I highly recommend for the entire family. 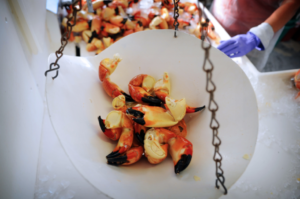 Citrus County is home to great seafood festivals, so if fresh seafood is up your alley keep reading. Also, to feed your fishing bug…snook season is open this time of year : ) If you’re looking to get your seafood and fishing fix, check out Citrus County. Citrus County is a great area to nail an inshore slam…snook, trout and redfish. 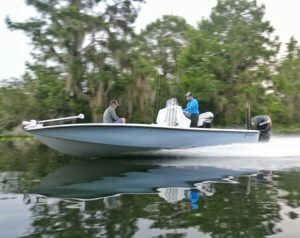 Two great areas to fish are Homosassa and Crystal River. One thing that stands out to me, is how untouched, and pristine it is. If you want to get away from the crowds, this is the place for you. The flats, oyster bars, and vast areas of sea grass, dotted with small islands, are constantly fed clean Gulf of Mexico water, with the tidal flow. Also, the natural springs are constantly flowing. 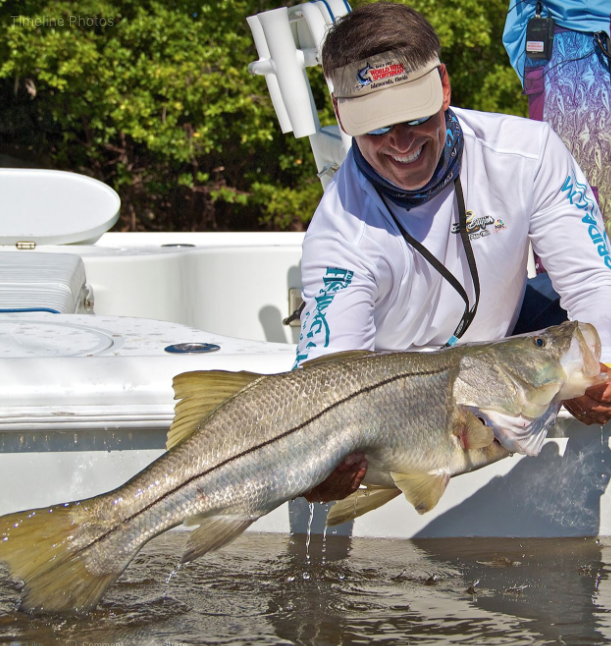 Rocky areas near inlets and points, with moving water, provide your best bet for snook. In general, outgoing tide is optimal, along with low light conditions, sunrise and sunset. For snook, a jig head with a gulp will entice strikes, as will jerk baits. For live bait, finger mullet and ladyfish work well. Snook season is open from September 1st through December 1st. Snook season is closed December 1st through the end of February. Snook season is open from March 1st through May 1st. 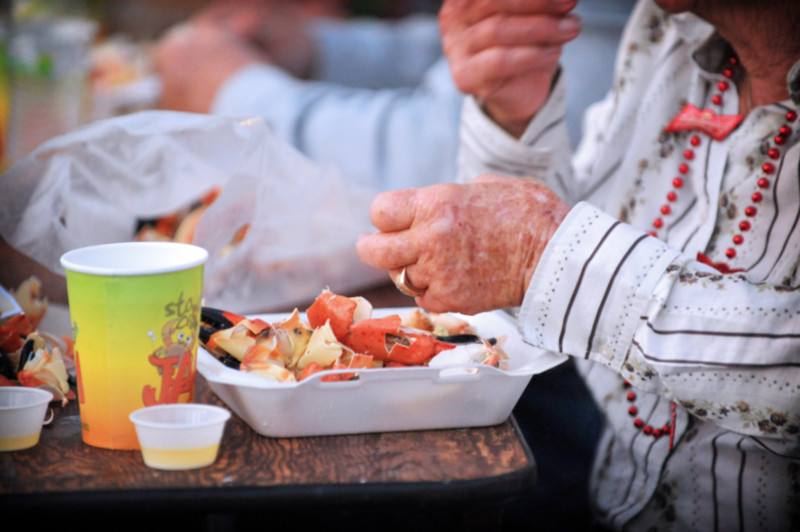 In Citrus County, here a couple of festivals to sample fresh stone crab and other seafood. 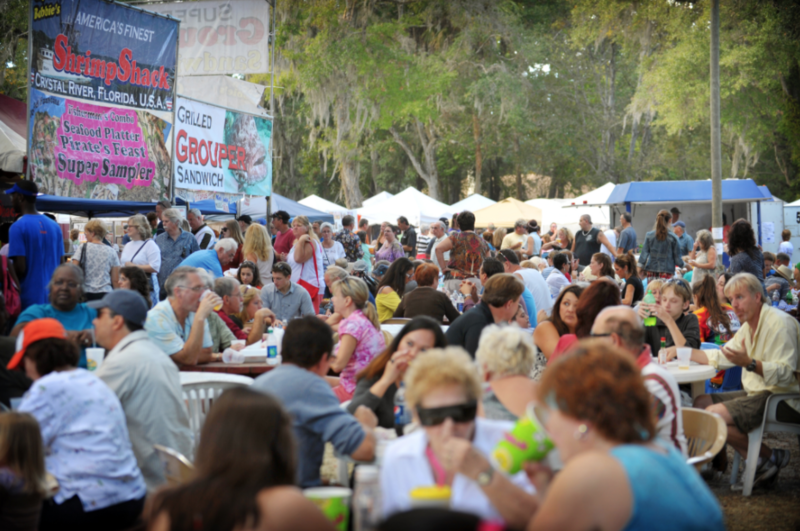 Open street festival in Historic Downtown Crystal River. 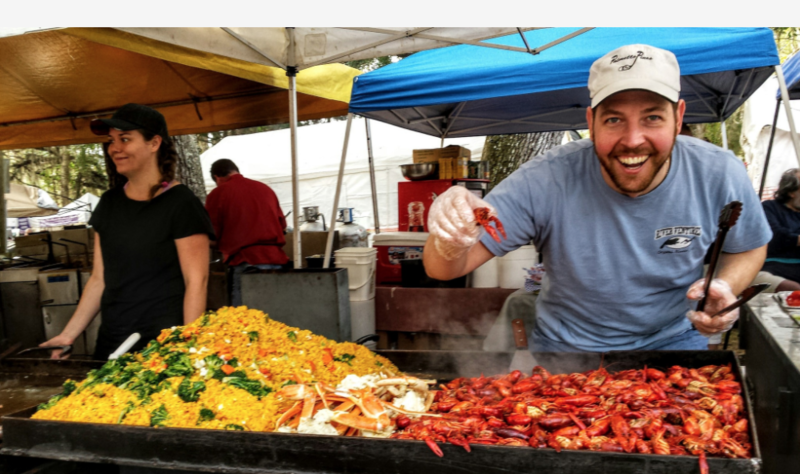 The streets are closed to showcase food, craft vendors and artists, along with wine, beer and spirits. 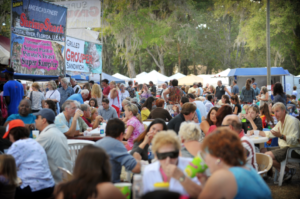 Presented by the Kings Bay Rotary Crystal River, ‘Charitable Foundation’ supported 100% by volunteers and sponsors. 100% of the Stone Crab Jam proceeds are donated to area non-profits, charitable organizations, scholarships and international projects. Over 8,000 attend every year! When I visit the area, my favorite place to stay is the Plantation on Crystal River and fish with the local guides. This entry was posted in Uncategorized on October 19, 2017 by admin_PMNBC. I had an awesome time at last night’s Tidal X Brooklyn benefit, hosted by Roc Nation and brought to you by Monster Products, Bacardi, Decode Cannabis and Jet Lux. All net proceeds of the concert are donated to Natural Disaster Relief and Recovery Organizations. 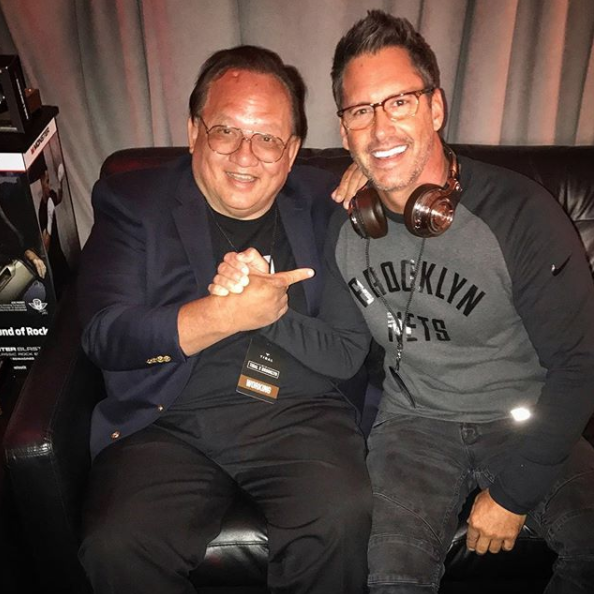 I was there with Monster Products CEO Noel Lee. 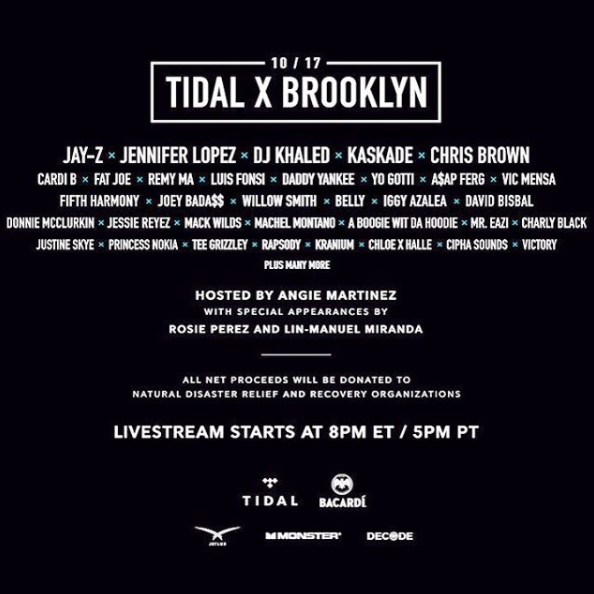 What an incredible event, with performances by Jay-Z, Jennifer Lopez, DJ Khaled, Kaskade,Chris Brown, Stevie Wonder and more. Monster is donating $50 of every Blaster Speaker ($399.95) purchases to Natural Disaster Relief and Recovery! Nearly ten years in the making and unprecedented in scale and scope, Wonders of Wildlife is larger than the Smithsonian Museum of Natural History and an inspirational tribute to the adventurers, explorers, outdoorsmen and conservationists who helped discover, develop and preserve the nation we love. With 35,000 live fish, mammals, reptiles, amphibians and birds, the 350,000-square-foot complex is a wonder in and of itself. It contains more than 1.5 miles of trails through authentic, immersive habitats and features 1.5 million gallons of freshwater and saltwater aquariums and immersive wildlife galleries. Signature galleries include a massive “open ocean” ring-shaped aquarium and the two-story Shipwreck Room where guests can touch stingrays on the ocean floor. Immersive wildlife galleries feature 4D dioramas that transport guests through sights, sounds, smells and climates to some of the wildest places on earth, including a trek across the African savannah, the Amazon rainforest, the Arctic and America’s National Parks and more in a multisensory celebration of conservation and craftsmanship. 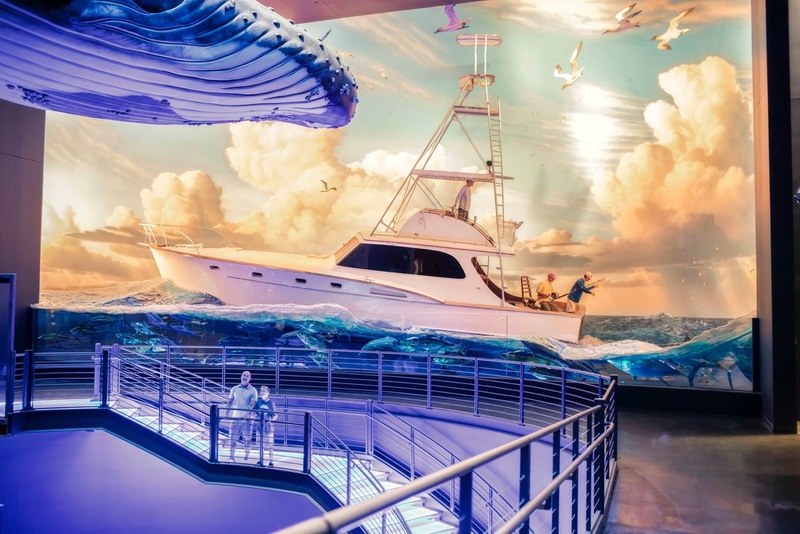 The all-new museum and aquarium is located next to Bass Pro Shops National Headquarters in Springfield, Missouri, one of many signature nature-based attractions in Missouri’s Ozark Mountains, a region emerging as America’s Conservation Capital. Wonders of Wildlife is a not-for-profit, proceeds benefit conservation and education. 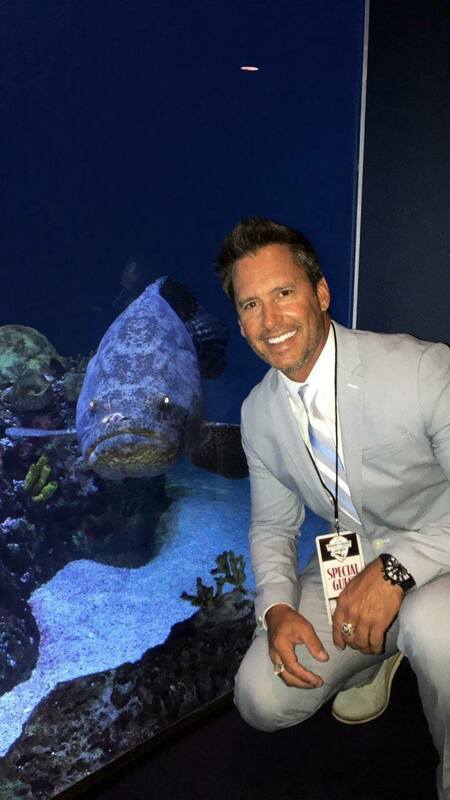 I had an incredible time at the Wonders of Wildlife grand opening, surrounded by the best in conservation. This museum beats any museum in the planet! Speakers included Presidents George W. Bush and Jimmy Carter, Kevin Costner and many more. Great seeing Roland Martin, Jimmy Houston, Bill Dance, JP and Johnny Morris. Great time with great friends Robert W. Christoph Jr., RT and Karl. This entry was posted in Uncategorized on October 4, 2017 by admin_PMNBC. 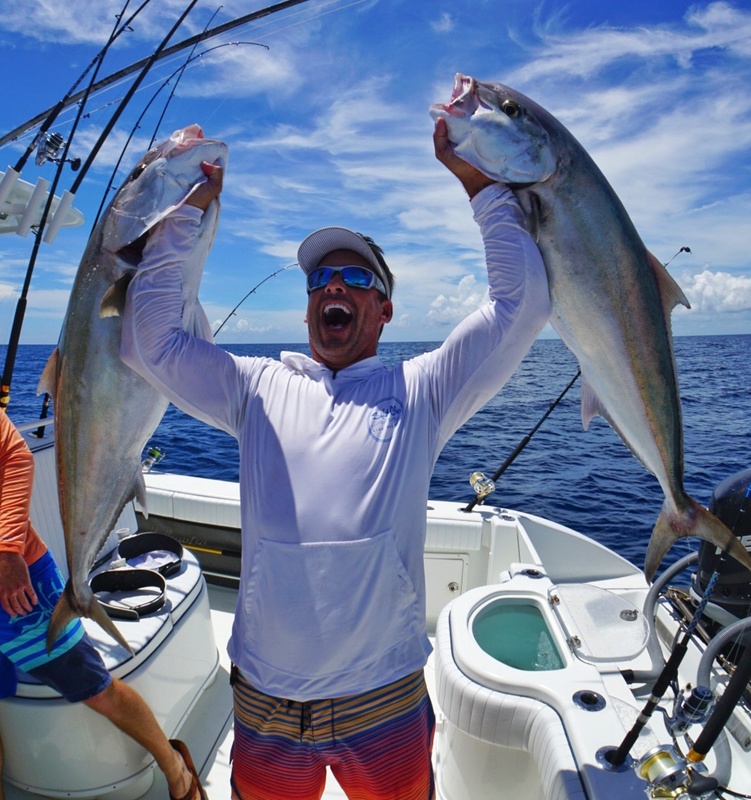 On August 10, the National Marine Fisheries Service (NMFS) announced it’s approval of the Exempted Fishing Permit that allows longline boats to fish in Florida’s east coast closed zone. This puts the recreational fishing industry that I work so hard to promote and protect, in danger. Long lines are fishing lines that are miles in length, and have have thousands of hooks attached, set by commercial fishing boats. With this new approval, commercial boats will now be allowed to set their long lines in a formerly closed fishing area off Florida. I have fished all over the world and I have seen the problems with longlining. The amount of by-catch and loss of marine life is tremendous. Longlines hook marlin, sailfish, sharks and tuna…they kill indiscriminately. 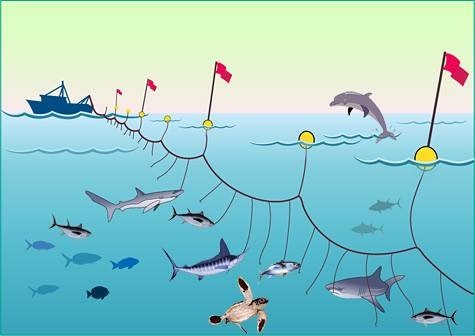 It’s not just fish, turtles, dolphins and whales are also accidentally hooked by longlines. I also witnessed the decline and recovery of the sword fishery off South Florida. When I first started fishing, a swordfish was rare. When longlining was banned off of Florida’s east coast. I witnessed first hand, the comeback of the species into a thriving fishery, that attracts visitors from around the world. Recreational fishing is tremendously important to Florida’s economy. In Florida, recreational fishing has an economic impact of $7.6 billion dollars, and the industry supports 109,300 jobs. This includes hotels, restaurants, fishing licenses, captains, airline tickets etc. The world is not aware of how destructive longline fishing is. If the National Marine Fisheries Service is so confident on their decision, we should be allowed to film the setting of these longlines, along with retrieval, to show the world what indiscriminate decimation of the ocean looks like first hand. There are no secrets anymore. All signs indicate this is a horrible decision that sets a tone that will one day wipe our ocean clean. We have one planet…let’s be smart and take care of it. Florida has more anglers than any other state in the nation, 2.4 million, and the related industry generates an economic impact of $7.6 billion dollars (2015/16) and supports 109,300 jobs! This is a slap in the face of all connected to recreational fishing in Florida especially after strong opposition was expressed by the industry and community participants. This decision could have a negative impact on Florida’s wide ranging marine tourism. This entry was posted in Uncategorized on August 16, 2017 by admin_PMNBC. What I appreciate most about Florida is the diversity of outdoor activities available to visitors and residents alike. One such activity is scalloping. Scalloping is a blast…it’s an easy and accessible pursuit and is perfect for families. It’s like an easter egg hunt, but the prize is tasty scallops. Here’s the lowdown on scalloping in Florida. Popular areas to go scalloping include Keaton, Steinhatchee, Crystal River and Homosassa. I recently had the opportunity to try scalloping in Steinhatchee, a town in Florida’s Nature Coast. You don’t need a big boat to partake, all you need is a mask and snorkel. The concept is simple. You jump in the water and weed through the grassy seabed until you see your prize. Sometimes the scallops will show you they’re white, fan shaped underbelly. Our captain referred to these as “gimmes.” Oftentimes the scallops are dark and olive colored, so they’re not easy to spot. Once you find a single scallop, look for groups in the area.. This i all about experience, once you determine patterns in the way the scallops appear on the seabed, you’ll be able to find more, filling your bucket quicker. Sunny conditions are best. You will be able to see the scallops easier, and the scallops will gather on the top of the grass. Look for holes. The scallops will gather on the edge of potholes. Scallops have neon blue eyes. Oftentimes you can spot them by looking for their eyes. Put your head down and swim, while weeding through the eelgrass. Here’s what you need to get in on the scallop action. Firstly, a dive mask and snorkel along. Fins are optional, but are a big help. You’ll need a mesh bag to carry scallops once you find them. Next, you’ll need a dive flag for the boat, this should be attached on the end of a PVC pole so that it’s visible. You’ll need a shucking knife… it’s best to put scallops on ice immediately after you harvest them. You will need a saltwater fishing license, nonresidents can purchase a short time license. The current FWC regulations dictate that you can harvest the following: 2 gallons whole bay scallops in shell, or 1 pint of bay scallop meat per person. Maximum of 10 gallons of whole bay scallops in shell, or 1/2 gallon bay scallop meat per vessel. Check the FWC site for the regulations and seasons, as this varies from county to county and regulations: www.myfwc.com/fishing/saltwater/recreational/bay-scallops. Heat olive oil and butter until nearly smoking in large sauce pan. Add the scallops t the sauce pan when the scallops are gently browned, either toss them or flip over with a spatula. When both sides are browned. Place scallops on a serving platter. In the same pan, heat up more butter, add in parsley and lemon juice. Pour the mixture over the scallops. This entry was posted in Uncategorized on July 5, 2017 by admin_PMNBC. Take the pledge and take a child fishing this summer, and challenge your friends to do the same. Donate at www.teachachildtofish.net and encourage others to do so! This entry was posted in Uncategorized on June 22, 2017 by admin_PMNBC. There are countless incredible outdoor experiences throughout Florida that are great for families. One that I recently had the pleasure of experiencing firsthand, provides unparalleled interaction with a unique animal..the Florida manatee! 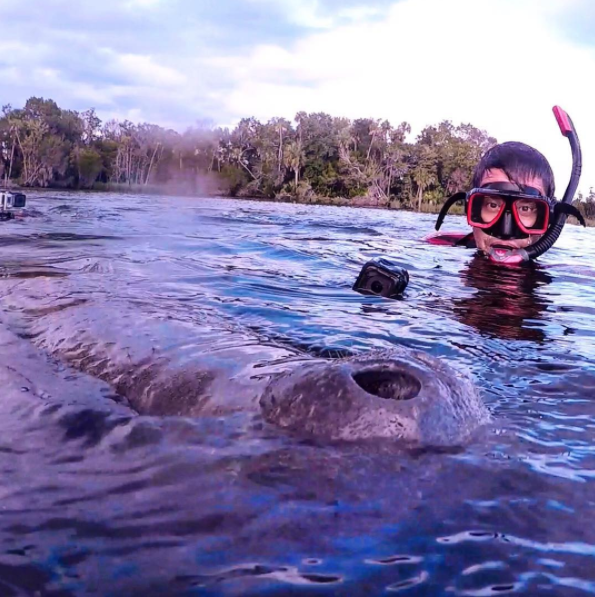 This is the only place in the United states where people can legally interact with manatees in the wild. Here’s some info on this unique and interesting experience. Crystal River is located on the Nature Coast of Florida. It’s a small town with a population of just over 3,000. The city sits on Kings Bay. Kings Bay is an area of water fed by over seventy springs. These springs sit just over 5 miles from the Gulf of Mexico, the springs feed over 600 million gallons of freshwater a day. I had the opportunity to visit the most popular spring, Three Sisters Spring. This spring has crystal clear water, and in the colder months, holds hundreds of manatees. The West Indian manatee is a threatened species and was formerly considered an endangered species in the 1970s, as there were only several hundred left in the wild. Most deaths were human related…manatees are frequently struck by boats and propeller blades. Recently, on March 30, 2017, the endangered species classification was lifted, and they are now considered threatened. There are currently around 6,000 west indian manatees in the wild. The reason why the manatees venture into the springs surrounding the Crystal River has to do with falling water temperatures. When the water temperatures fall below 65 degrees in Florida, the manatees undergo great stress. The springs in the area around Crystal River have a constant temperature of 72-74 degrees. The manatees thrive in the warm water, they come here to mate and then birth and nurse their young. Although Crystal River holds manatees all year round, the months from November through April hold the highest concentrations. 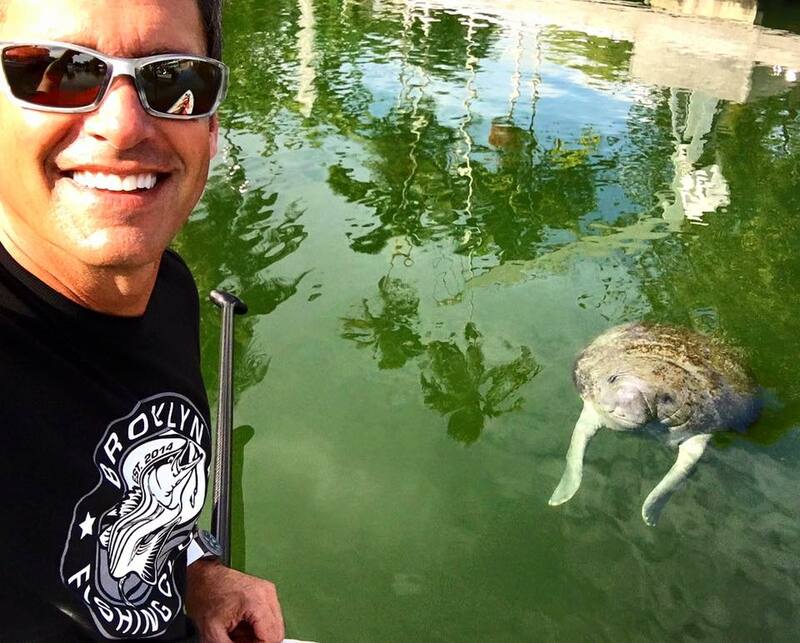 If you’re looking for a great way to get in touch with nature, that’s relaxing and accessible for the whole family, I recommend visiting Crystal River, staying at the Plantation on Crystal River, and booking a trip with their dive shop. They’ll set you up with the appropriate gear and teach you the best way to interact with these gentle giants. Did I forget to mention? There’s great fishing too! Visit www.discovercrystalriverfl.com and www.plantationoncrystalriver.com to book a trip. This entry was posted in Uncategorized on May 12, 2017 by admin_PMNBC. Luckily when you dream big, big things can happen because last week, Peter Miller, granted a wish by having Dalton, a Make-A-Wish recipient on his show. On Tuesday, March 14, 2017, Dalton and his family drove down from Virginia to Dania Beach, Florida and were elated to meet Miller at Bass Pro Shops. Miller provided Dalton and his family with Bass Pro Shops gift cards and Bass Pro Shops’ GM, Danny Vinson gifted Dalton with a fishing rod and reel along with a ton of gear. Afterwards, they had dinner at Islamorada Fish Company. While dining, Dalton and his family choked up a bit and said that it was the first time they had been out to a restaurant in over a year, as Dalton’s immune system was too compromised to be exposed to any germs during treatment. 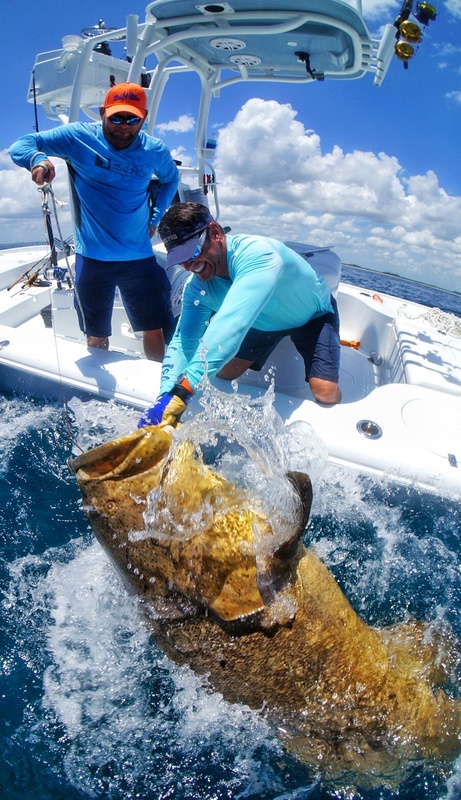 On Wednesday, March 15, Dalton and his family embarked from Key Biscayne, Florida on the fishing trip of a lifetime with Bass 2 Billfish, Peter Miller and Captain Quinton Dieterle. Throughout the course of the day they caught five sailfish, barracudas and bonitos fishing alongside Peter Miller. During the excursion, Miller and the Daltons formed an everlasting bond. 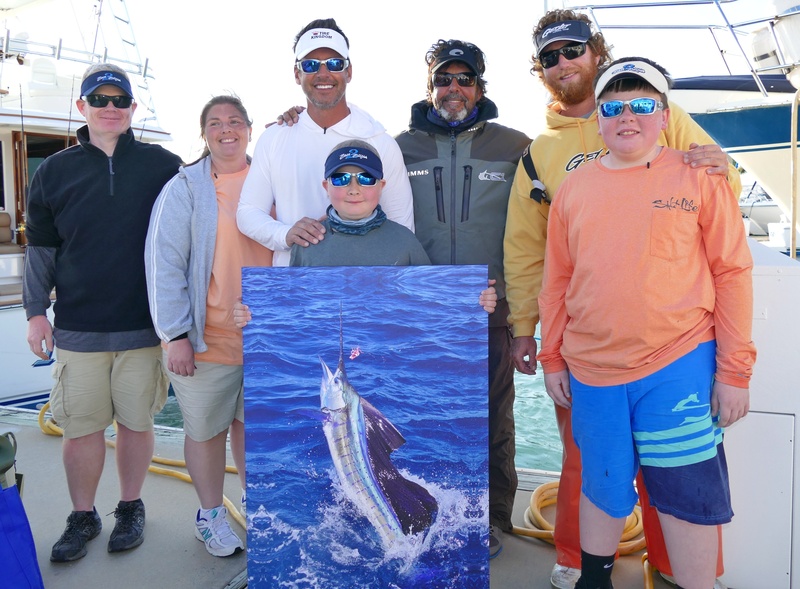 Miller took Dalton and his brother Will under his wing and coached them through the entire experience, including a triple header of sailfish for Dalton, his brother and father Michael. This was their first-time fishing in salt water. Dalton is now the youngest guest to catch not one, but two sailfish on an episode of Bass 2 Billfish. The family was emotional, and told the crew that it was such an amazing experience because for just that moment, they could forget how hard the past year had been and focus on enjoying themselves. 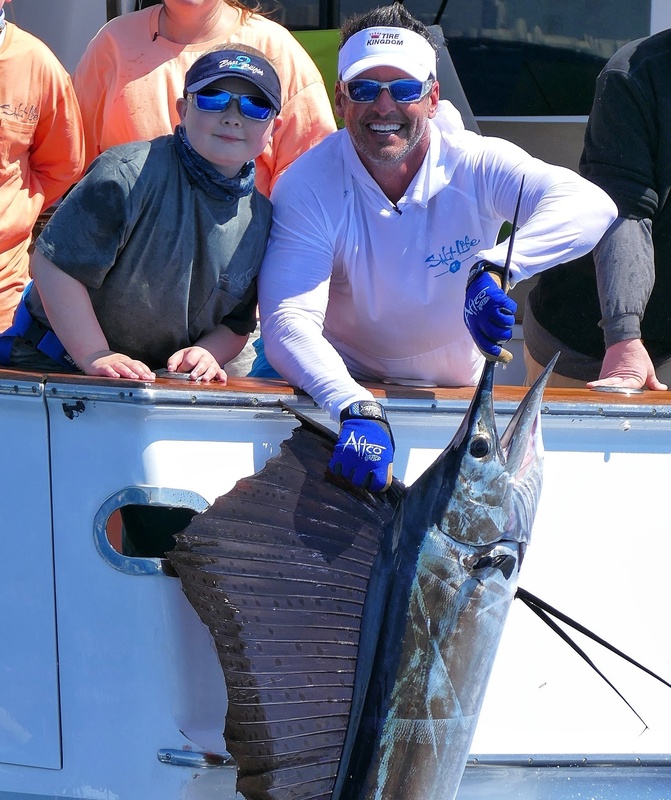 At the dock, Dalton was presented with a generous gift pack from Mike Myatt of the International Game Fish Association, which included a full-size sailfish print, mini sailfish mount and a bag full of gear for him to remember his incredible day on the water. 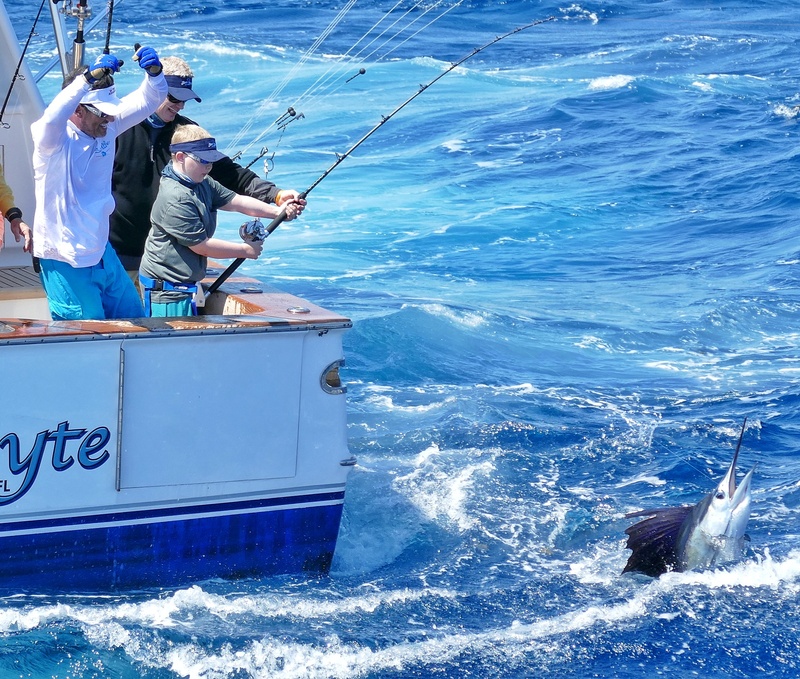 Wyatt Dalton’s episode is slated to air on Bass to Billfish with Peter Miller on Tuesday, April 11, 2017 at 4:00 p.m. EST. 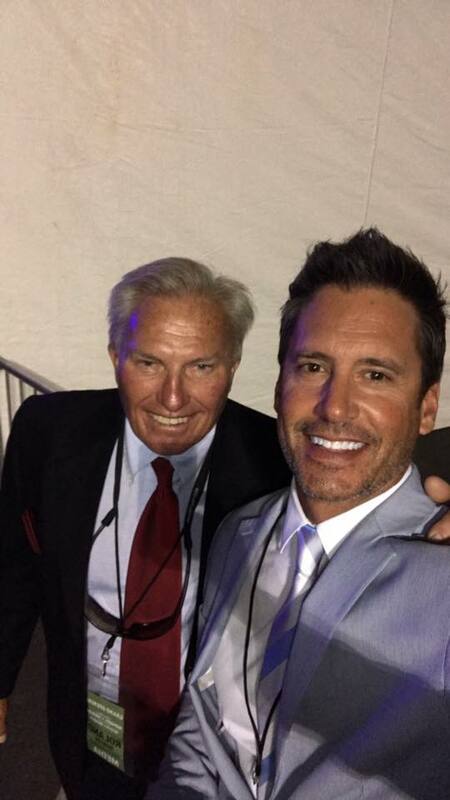 Miller has collaborated with the Make-A-Wish foundation on numerous occasions. 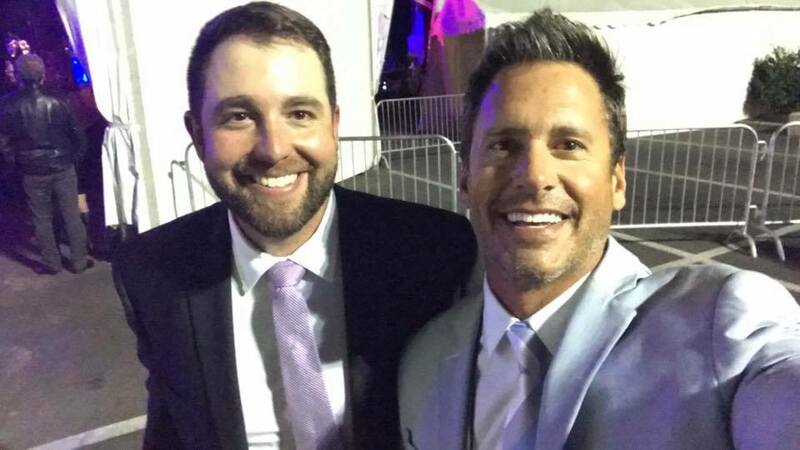 This is the fourth wish Miller has granted on-air, and the fifth wish Miller has been involved in. Miller is honored and humbled to be able to provide these experiences, and he looks forward to collaborating with the Make-A-Wish Foundation in the future. 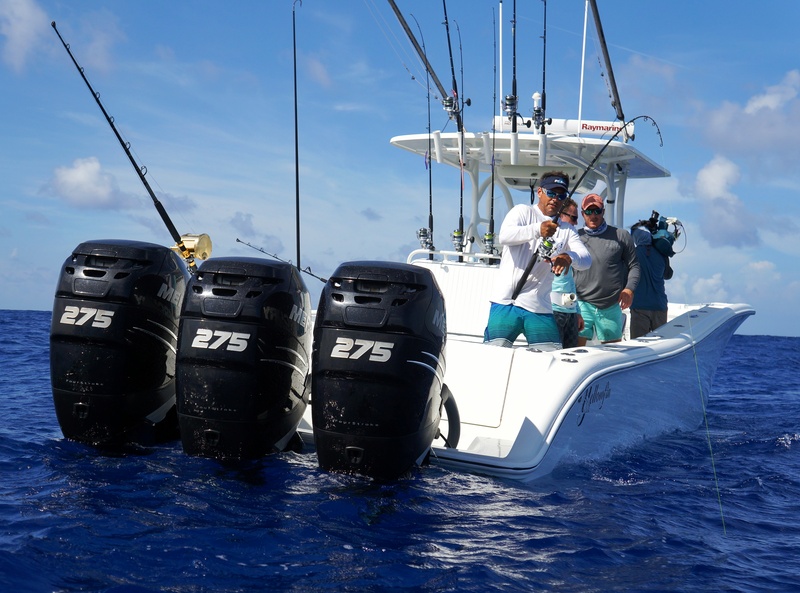 Not all guests on Bass 2 Billfish with Peter Miller come from unfortunate or special needs backgrounds, yet Miller and his team make a point of using the program to give back to the public. For the past eight seasons of the program, guests from all over the United States, including children, father-son duos, girlfriends, war heroes, and many more, have submitted audition tapes for a chance to be on the show. 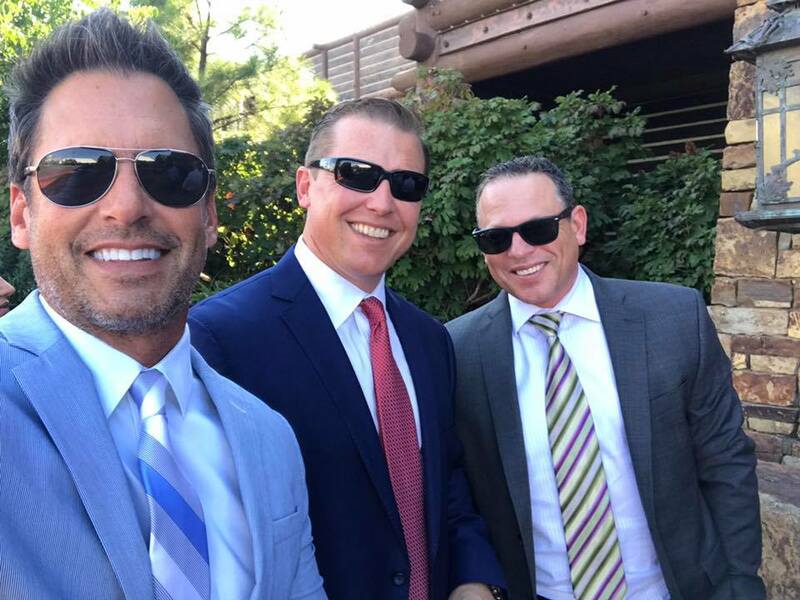 Once accepted, the B2B team provides an unforgettable experience, including airfare, five-star accommodations, and a legendary gift pack loaded with swag from sponsors, including Yeti, Bass Pro Shops, Salt Life, Costa Sunglasses, Monster Speakers and others. 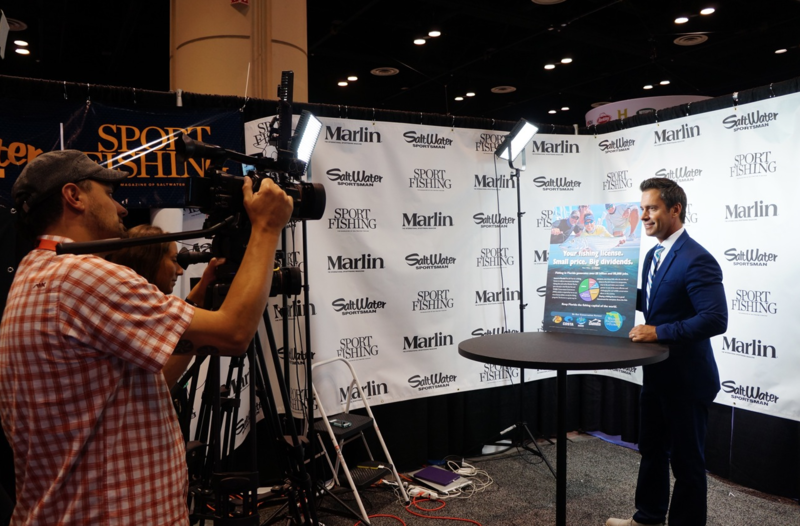 No matter their background, fans of all ages and levels of fishing experience are welcomed to apply to be on the show, for a chance to hit the water with, “3 Time World Sailfish Champion” Peter Miller. This entry was posted in Uncategorized on March 20, 2017 by admin_PMNBC. 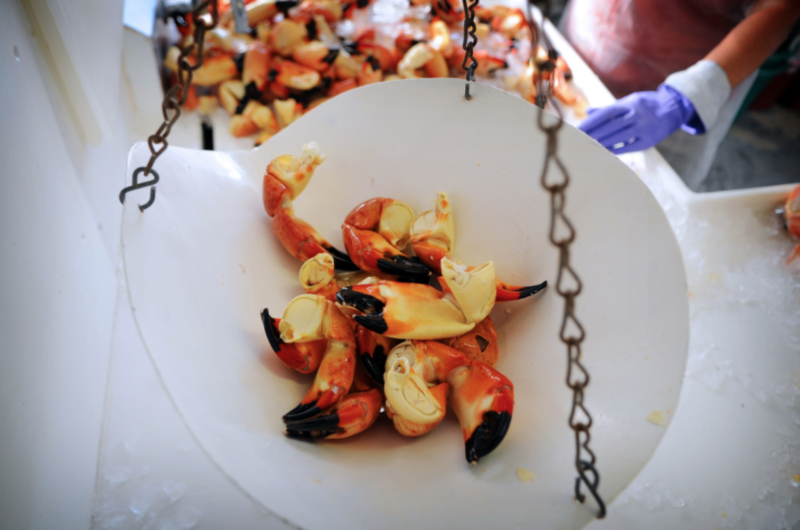 Fishing has a tremendous impact on Florida’s economy. I’m proud to support this industry in any way that I can! Here are some statistics about fishing and it’s importance. 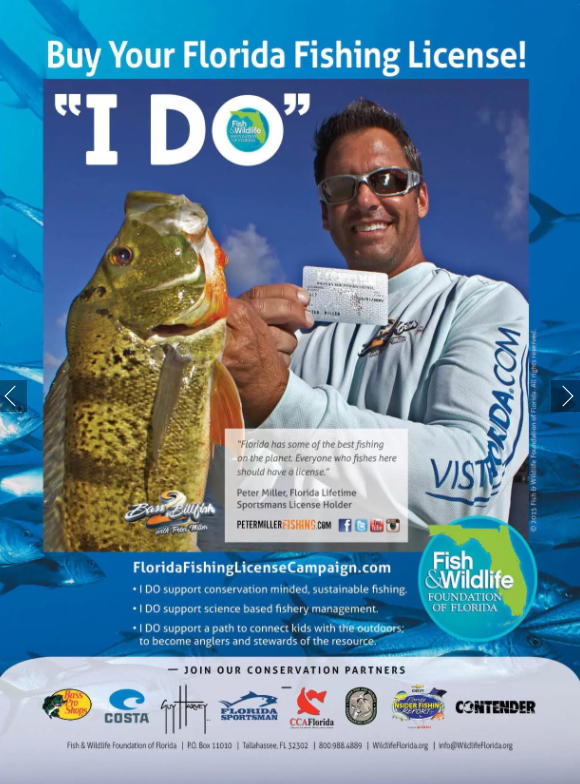 I serve as the spokesperson for the “I DO” campaign, which influences fisherman to buy licenses. The revenue collected from fishing licenses enhances fishing and boating opportunities throughout Florida. Public marinas, boat ramps, fishing clinics, artificial reefs are some of the programs that are benefitting from the funds raised from fishing license dollars. To learn more about the “I DO” Campaign click here. One partner of mine that is very influential in towards Florida’s economy is Bass Pro Shops. I have been working with Bass Pro Shops for 20 years now. I just had the pleasure of attending the Daytona Beach Bass Pro Shops grand opening. Here is a picture of me chatting with a young fan at Bass Pro Shops. Onstage at the Bass Pro Shops Grand opening with Tony Stewart, Kendall Newson and Kevin VanDam. 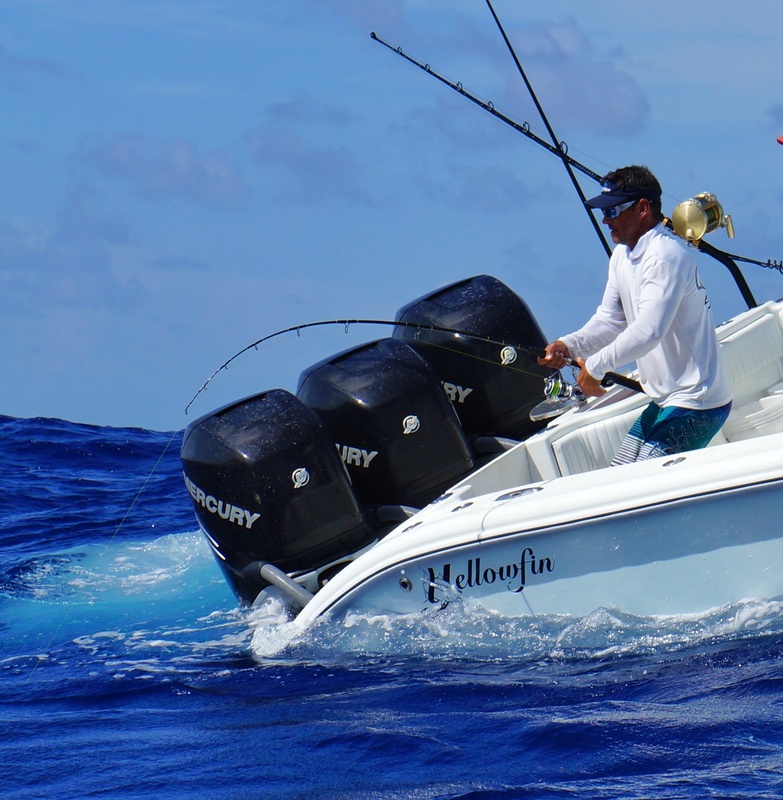 Between the Bass2Billfish and PeterMillerFishing.com Facebook, Twitter, and Instagram accounts…we will have reached over 26 million impressions for 2017! 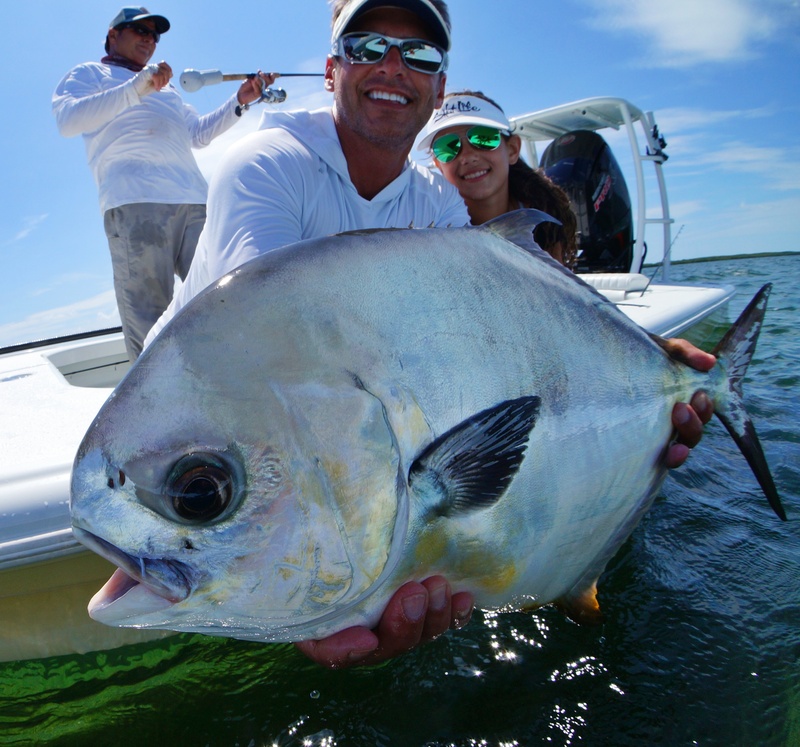 New for 2017 Waypoint TV: Bass2Billfish is now streaming on Waypoint TV available on Roku, SmartTV, Chromecast, Android, Amazon Fire TV, Apple TV, Airplay. Average over 2,500 viewers per month. This entry was posted in Uncategorized on March 6, 2017 by admin_PMNBC. I recently had the opportunity to chat with some fans about back issues. This is a common theme with fisherman and our lifestyle…being on the water is not necessarily easy on your back. Surgery at the Laser Spine Institute helped me regain my life after I started experiencing back problems. Have you been diagnosed with spinal stenosis, bulging/herniated disk, sciatica or other chronic spine conditions? Before my surgery, I suffered from both spinal stenosis and a herniated disk. This was debilitating and was affecting my personal and work life. Do you have trouble sleeping, exercising, standing for long periods of time or participating in daily activities? Before my surgery, I couldn’t play with my kids or perform at my best while fishing with my professional sailfishing team. The terrible part was that the pain was getting progressively worse as time went on. Have you had success with conservative treatments like chiropractic care, physical therapy, yoga/stretching or prescription pain medication? Before my surgery, I attended physical therapy for months and months, stretched every day and started taking pain killers to help deal with the pain and help me get back to work. All of these methods only provided me with temporary relief, but I knew it was time to make a change. Laser Spine Institute has helped over 60,000 patients and has a 99% patient recommendation rate. 91% of patients who have surgery with Laser Spine Institute return to daily activities within 3 months of surgery. My personal experience: the surgery took one hour. With a recovery time of one hour, in essence I was walking within 2 hours after my surgery. I walked to lunch, 3 hours later! My doctors advised me to start walking and moving as much as I could in the coming weeks…it was a great way to clear my head and sped up my recovery. Before I knew it I was back to my daily activities. To learn more about Laser Spine Institute visit their website. This entry was posted in Uncategorized on March 1, 2017 by admin_PMNBC.